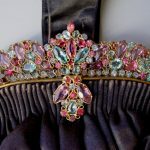 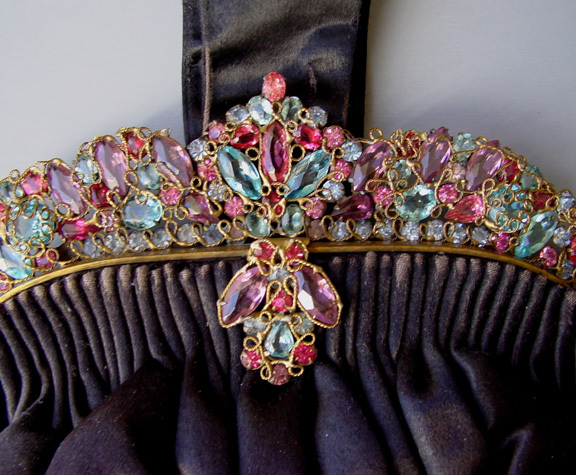 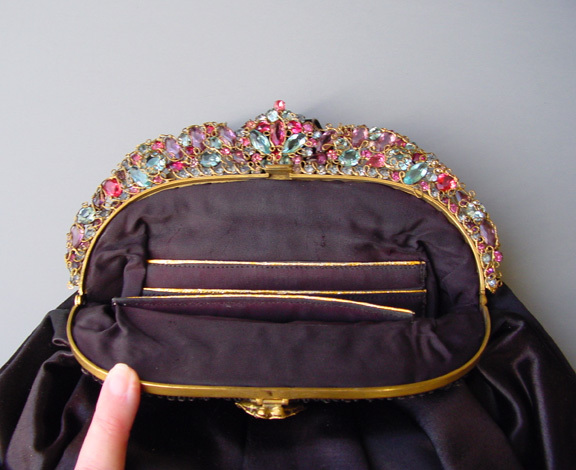 HOBE framed purse with pastel aqua, pink, rose and lavender unfoiled rhinestones set in a gold tone filigree wirework. 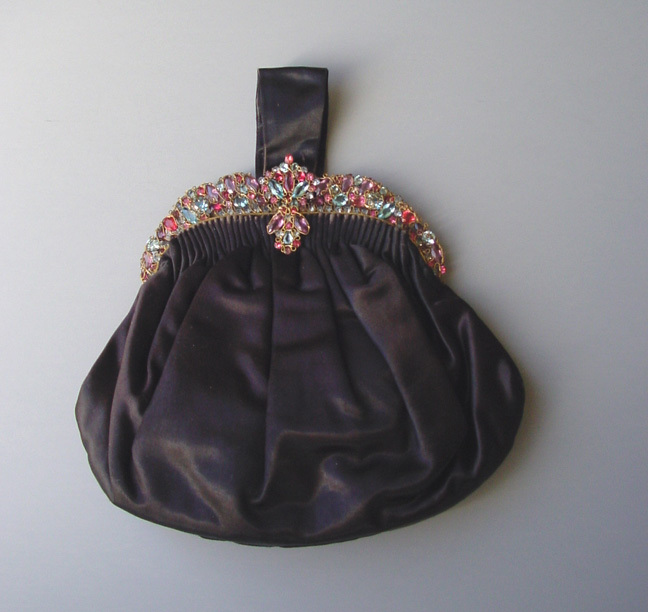 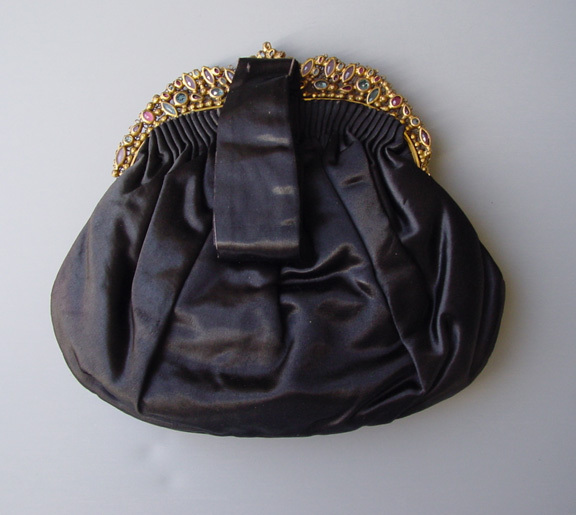 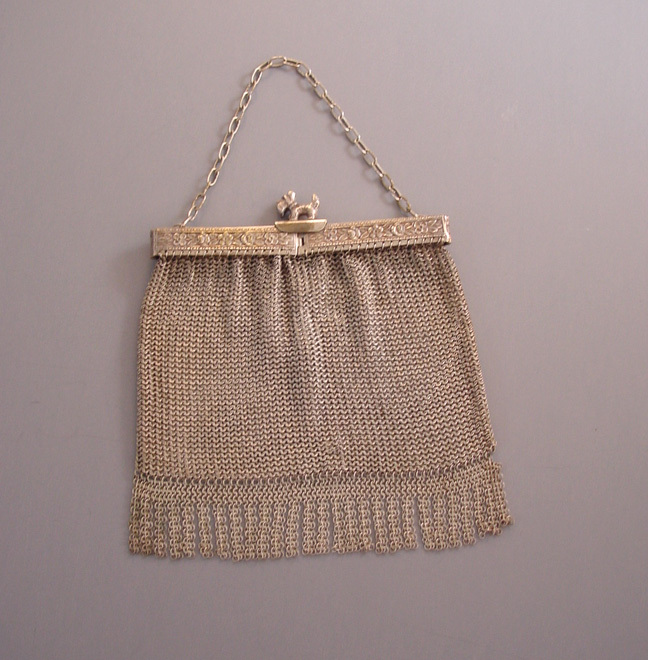 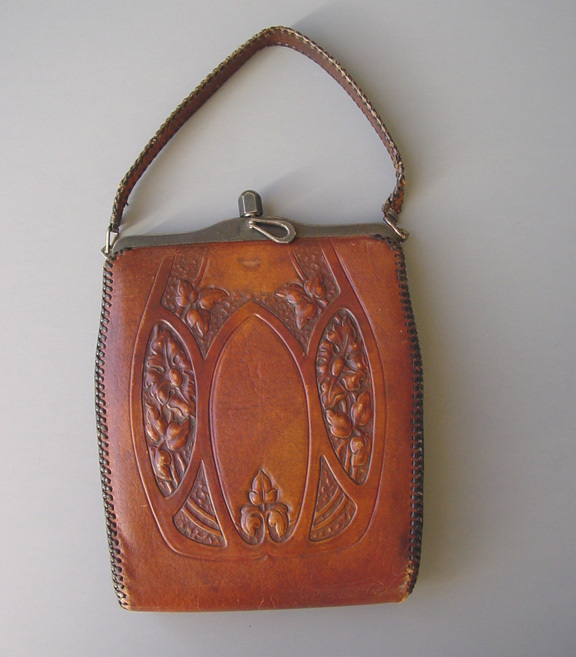 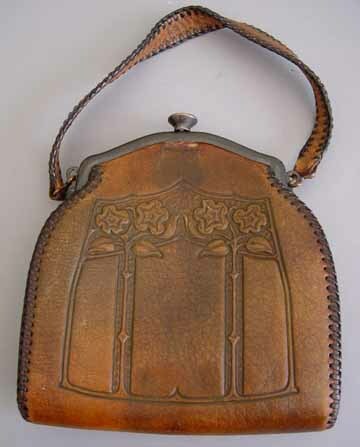 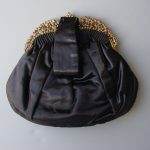 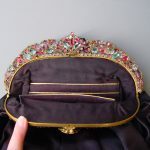 The purse has a black satin body, lining and handle, circa 1950. 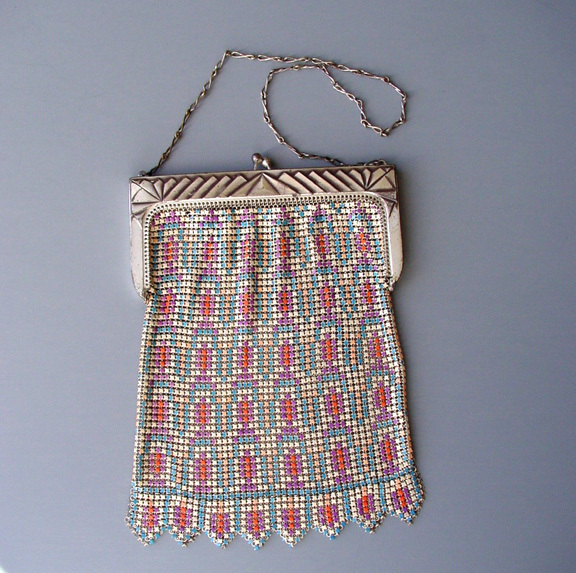 The frame is not signed, but that is typical for the Hobe purse frames, they weren't signed.